HF:The engineerng consultancy Binnie & Partners, though British, has had a close connection to Hong Kong through several large-scale engineering projects. From the late 1990s it has been part of the multi-national consultancy Black and Veatch which has its HK office in Ngau Tau Kok. Geoffrey Binnie is closely associated with the constuction of what was, on completion, known as the Jubilee Dam, Jubilee Reservoir (銀禧水塘) so designated to celebrate the Silver Jubilee (1935) of King George V. The name Jubilee has fallen into disuse and the reservoir is now called Shing Mun. Geoffrey Morse Binnie (13th November 1908 – 5th April 1989) was a British civil engineer and writer particularly associated with dams and reservoirs. Binnie was the third generation of his family to enter civil engineering his grandfather was Sir Alexander Binnie (see linked article below), and his was father was William Binnie. He was educated at Charterhouse School, Trinity Hall, Cambridge University and Zurich University. On graduation, he became a pupil of Swiss engineer Dr Henry Edward Gruner, working on a hydro-electric scheme, Seruf-Niederenbach, in the Alps, and then on a larger project, Albbruck-Dogern on the River Rhine. He joined the firm of consulting engineers Binnie & Partners in 1931. 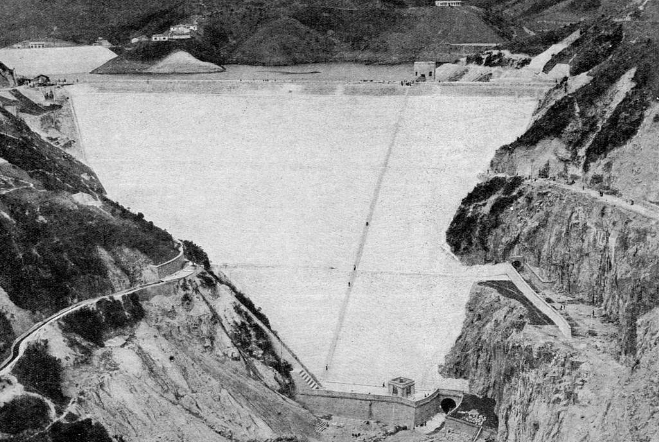 From 1932–1936, he worked on the 88m high Jubilee Dam in Hong Kong, the then highest dam in the British Empire. Upon his return to the UK, he worked on the construction of Eye Brook Reservoir at Corby, Northamptonshire. In 1939, he was appointed a Partner in the family firm. During World War Two, he served in the Royal Engineers. After the war, he worked on various water supply projects in the UK and overseas, including the Kalatuwawa Dam, near Hanwella, which supplies water to Colombo in Sri Lanka. 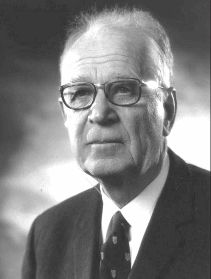 Binnie retired in December 1972, but remained active on various committees concerned with dams and barrages, including the Severn Barrage Committee from 1977–1979. This article was first published on 5th August 2016. See: The Binnie heritage in dam engineering The Institution of Civil Engineers.